Tyler Eifert was born on September 8; 1990 and is 28 years old. This is his 6th Season in the NFL and plays for the Cincinnati Bengals. 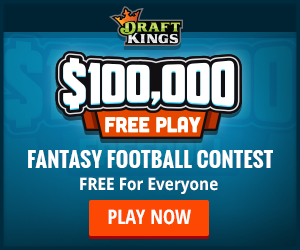 Fantasy Footballers is an affiliate of DraftKings and FanDuel. Fantasy Footballers receives compensation for their promotion.